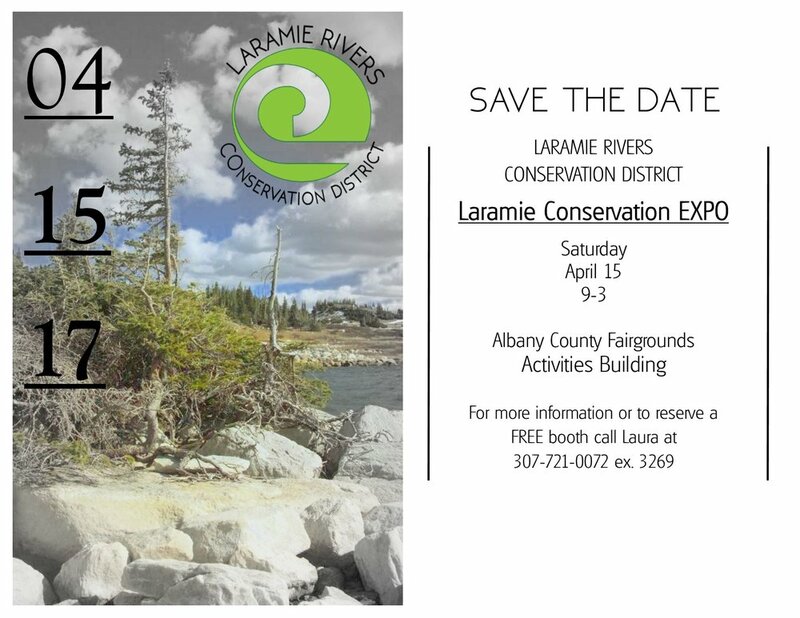 On April 15th, come join us for this celebration of all things Conservation. People need nature. We rely on it for food, shelter, water, air, and livelihoods. Nature is more than the place people go on the weekend or an vacation to get away. We are a part of its intricate web and we have a responsibility to maintain it as best we can. Conservation is the preservation, protection, or restoration of the natural environment, natural ecosystems, vegetation, and wildlife. Natural Resources Conservation Service (NRCS) - an agency of the United States Department of Agriculture that provides technical assistance to farmers and other private landowners and managers. WY Game & Fish - whose mission is "To Enhance and Protect Wyoming's Fish and Wildlife Resources"
CoCoRaHS - Community Collaborative Rain, Hail and Snow Network is community-based network of volunteers of all ages and backgrounds working together to measure and map precipitation. Big Hollow Coop - a lcal grocery store who aims "...to support local agriculture, provide healthy food options, and empower our community." Harmony Heating and Solar - providing forced air heating, solar thermal systems, and photovoltaic (PV) systems. Sheila Bird Farm - offering fantastic local grown organic produce to the Laramie community since 2013. These are just 6 of the 60 booths, presentation and exhibits we offer at the Expo. The event is for folks of all ages and many booths offer kid friendly activities. Food, brought to you by LC Catering, is available for purchase all day and fun door prizes are raffled off throughout the day. This is a FREE event for exhibitors and attendees. We hope to see you there! !